Here at Juno Web Design we have been working closely with the contemporary furniture designers, Graham and Green, to improve their e commerce website’s functionality. Graham and Green have a great range of designer kitchen furniture, as well as contemporary home accessories including their very popular selection of unique door knobs. Our web design team have worked hard to ensure that the website has the most convenient layout possible, making shopping online a more pleasurable experience for Graham and Green’s customers. Graham and Green have a number of detailed door knob designs featuring glass, chrome, wood and ceramic materials. In order to display the fine detail and colour of the door knobs it was necessary to display high quality product photographs on the website. High quality product photography is so important when it comes to selling products online, as it is the only way of the customer seeing the product before they order it, making it a key selling point. Other aspects of key importance are the font and placement of the product text on the website. The text used on the Graham and Green site is quite a simple text, making it easy to read, whilst still fitting in with their contemporary style. The colours chosen, grey, pink and black, co-ordinate with the rest of the website, including the company’s logo and their background image. As price is crucially important to customers when they are shopping for specific products, we chose to place this under the product name so they could easily see how much the products cost up-front. Our experienced web design team used Magento to create product filtering on the Graham and Green website. 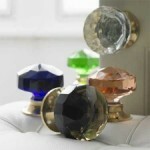 Customers can select to view just the best selling door knobs, so the results simply show which door knobs are the most popular, for example the leading results is currently ‘square glass door knobs.’ Magento also creates a purchasing process that is straight forward for customers, as well as notifies the actual company when they are low on stock and need to re-order items.